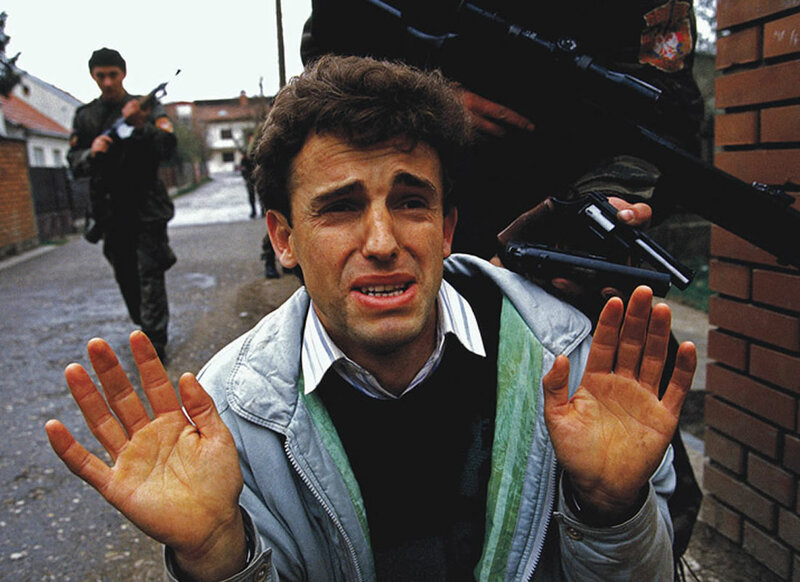 Award-winning photojournalist, Ron Haviv, documented the Yugoslav Wars at length. 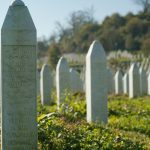 The International Criminal Tribunal for the former Yugoslavia (ICTY) used his work as evidence for prosecuting those accused of war crimes. 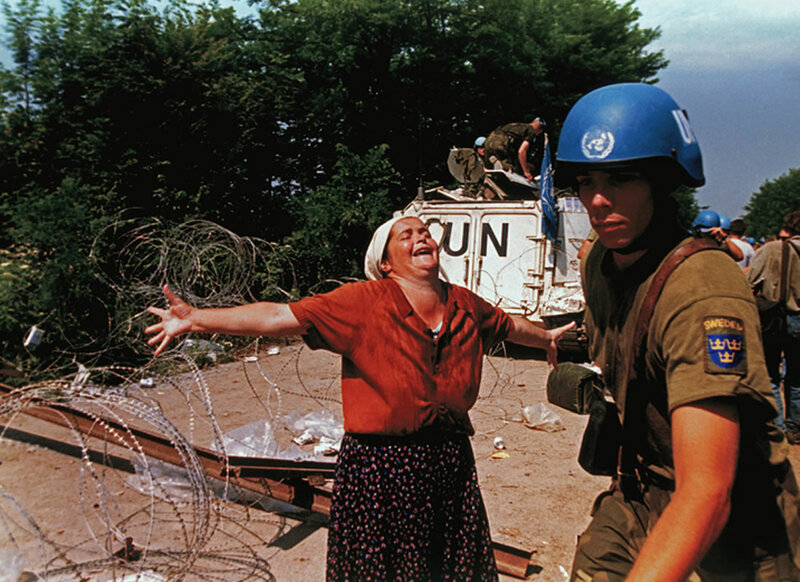 “The first camp I visited as a photographer was Manjača, in August 1992. 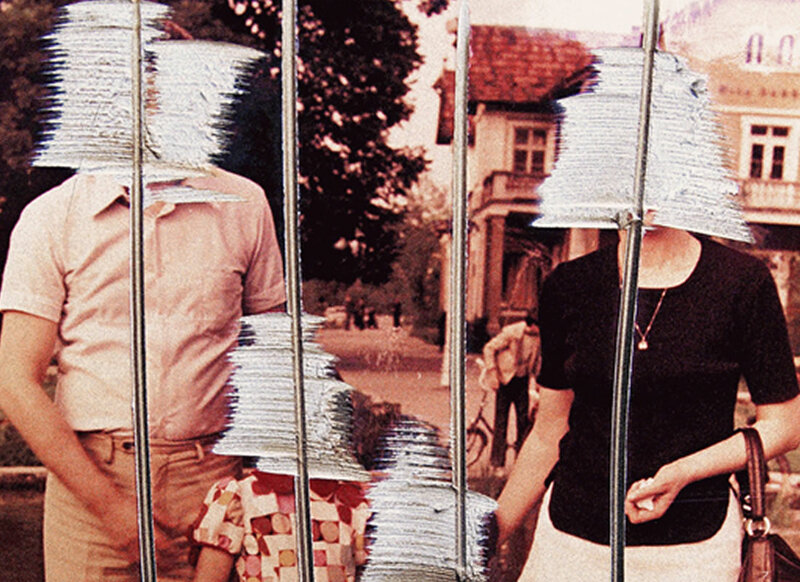 At the time, I was documenting the effect of war on Serbian civilians. 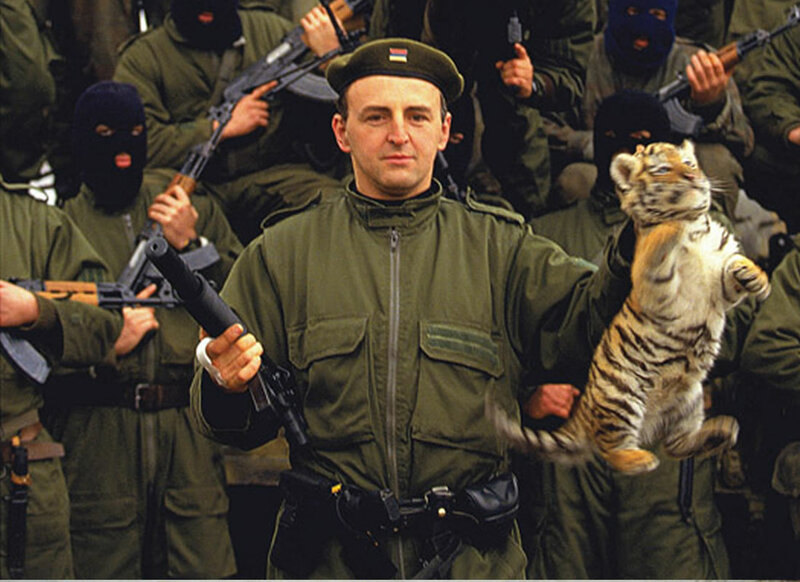 A few days earlier, the journalist Ed Vulliamy had broken the Omarksa story, so the Serb army had begun to grow weary of the international media, and wanted to secure some good press. My first impression of Manjača was that it was clearly a very ordered, well-run camp. There was lots of barbed wire around the establishment, and a lot of guards. An eerie silence followed me throughout my time there. It was a very unsettling experience. I specifically remember seeing rows and rows of men. I was brought into a very large barn to see where the prisoners were sleeping. They were all sat there in silence, with their shoes neatly placed in front of them. 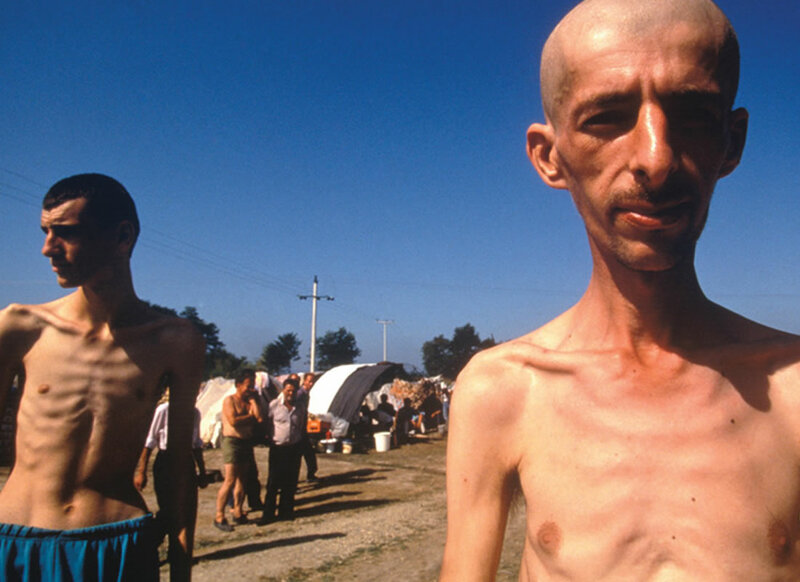 As time went on, the Serbian guards let me roam around and I was able to interact with some of the prisoners on my own. I asked a prisoner to come into the shade, so I could take a photo of him. And I remember that he looked straight at me, and made a gesture of running his finger slowly across his throat. From there, I visited Trnopolje. Things here appeared less ordered in comparison to Manjača, but I did get the distinct impression that prisoners weren’t allowed to roam around here. 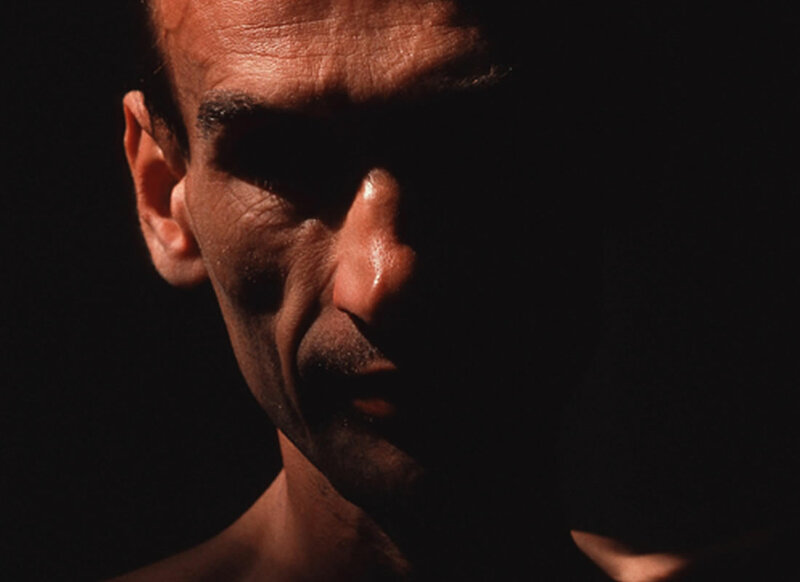 It was at Trnopolje that I took the photograph of the four men in the frame, focusing on the young emaciated man. It was very shocking to see people in that condition, especially in Europe in 1992. It obviously drew heavy comparisons to the atrocities of World War II. 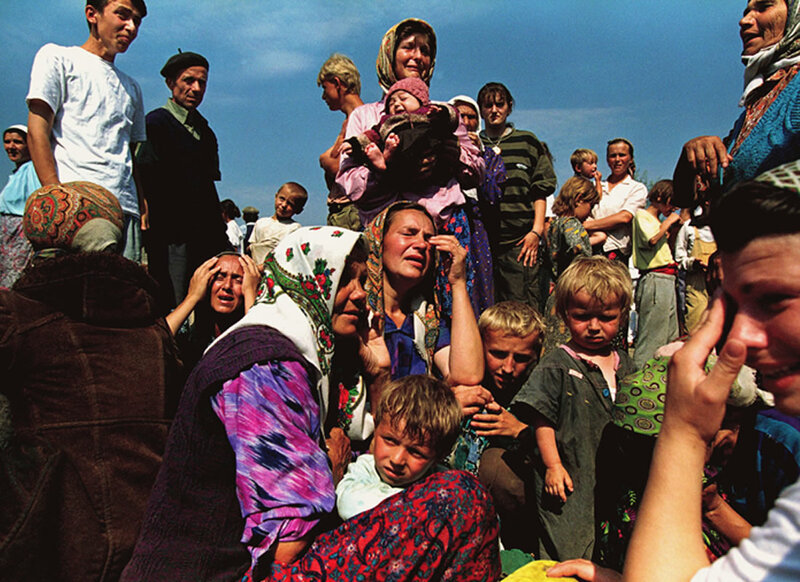 I felt the world made a mockery of the concept of humanitarian intervention, and standing up for the innocent in Bosnia. For those of us on the ground, it was a very frustrating experience in that it was obvious that no one was paying attention to what we were doing. Numerous journalists were killed during the conflict, because they really believed that if they told the world what was happening, it would stop. Our intention was always to provide information: for those sitting abroad, for those in positions of power, and for those walking into the voting booths. 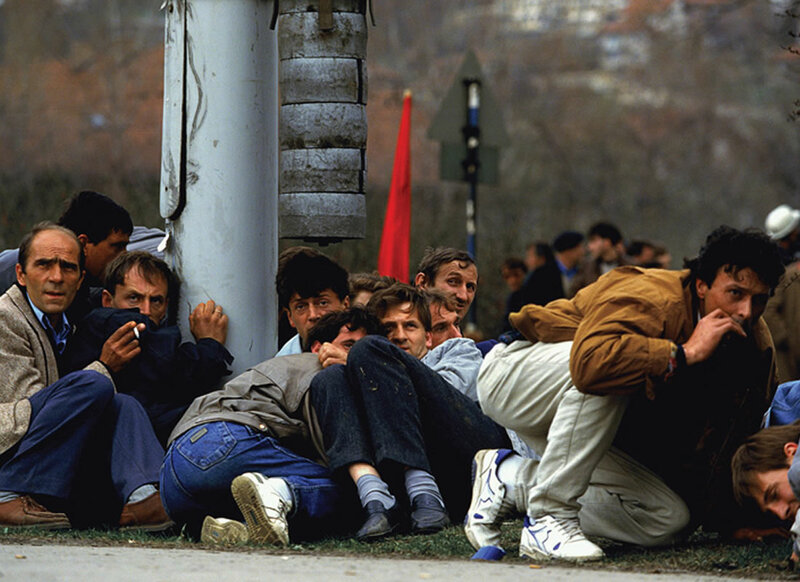 Late in 1993, when I was in Sarajevo, the people started telling us to go home. They would say, “No one cares about us, and we don’t want you here.” I considered leaving, but I realised that even though the work was not having any affect internationally, I was building a body of evidence to hold people accountable.